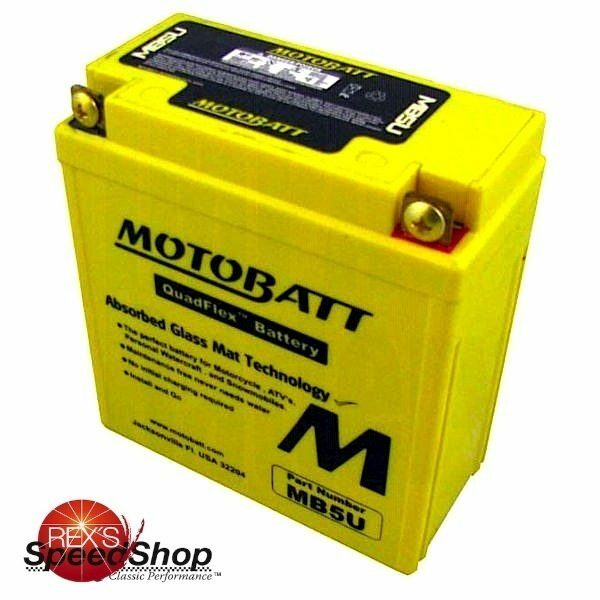 Motobatt MB5U AGM 12 volt battery. 7A/HR. No initial charging, no acid to spill. Withstands long periods of disuse.